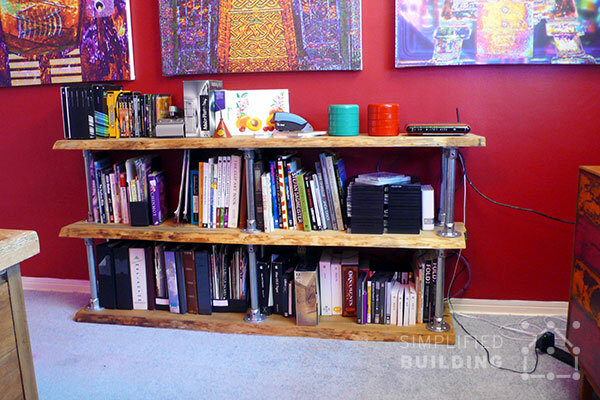 Want to build your own industrial bookcase? Then, look no further. 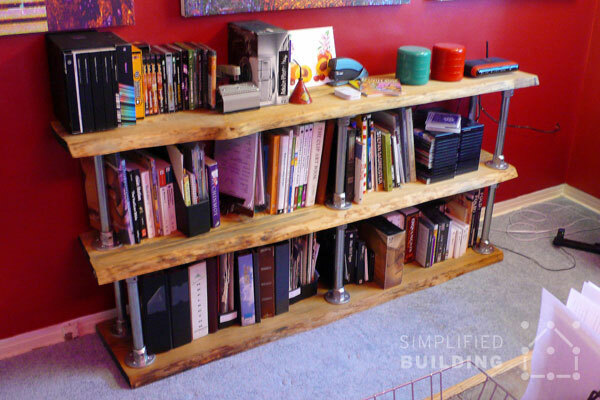 In this article, you'll find this awesome bookcase that Richard built using Kee Klamp fittings, pipe, and some reclaimed boards to complete the shelves. 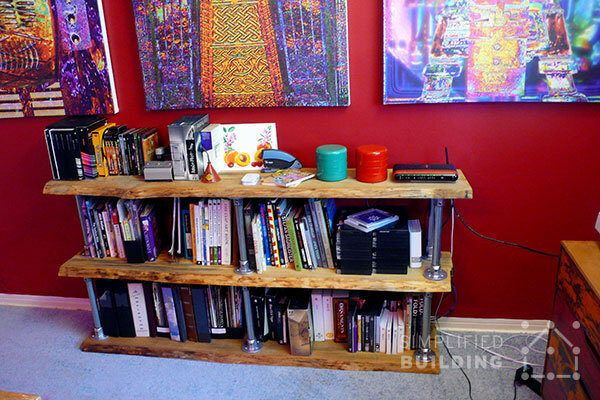 The featured bookcase was built by Richard in Clearwater, Florida for his home office. He was searching for something with a unique look that would match the rest of his recycled bard wood furniture. "I wanted the metal structural elements to match the style and beauty of the wood shelving. Your products were a perfect compliment to the wood and were easy to assemble. I am overjoyed with the result!" Richard's bookcase used size 6 (1") fittings and pipe. However, you can use any size you like. In addition, the dimensions are completely up to you and are configurable based on your exact needs. 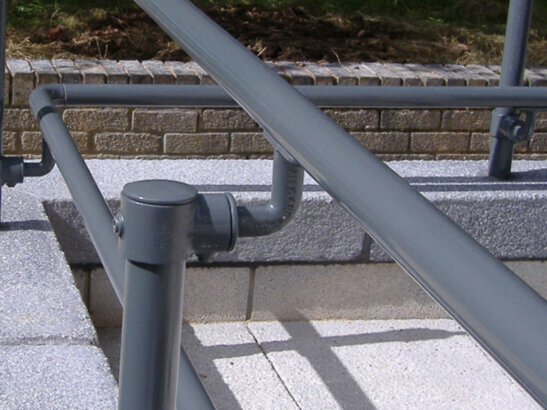 Simply order the size pipe and number of fittings you need for your project. As with any Kee Klamp project, exact assembly order depends on how you would like to approach the assembly process. For instance, in this project, you may decide to assemble the shelf supports first then attach them to the wood platforms. Or, you may decide to attach the Flange fittings to the wood platforms first, then the pipe, then the following flange fittings and so on (this is the process illustrated in the diagram below). To assemble the bookcase, first start by laying out the first platform to be used at the bookcase bottom shelf. Then, place 6 Flange fittings on top of the shelf and space them evenly. You may want to use a measuring tape to mark each spot so the spacing is consistent throughout the entire bookcase. Next, you can attach the Flange fittings to the shelf. 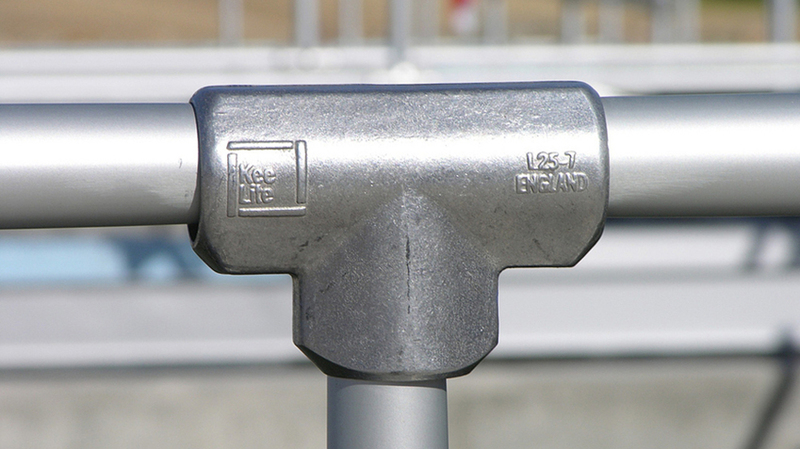 The Flange fitting has four holes in it (illustrated in the Step 2 diagram) for mounting. 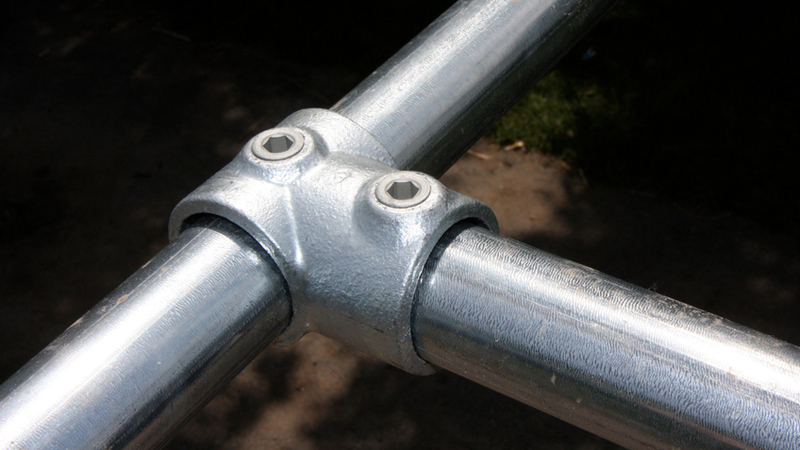 Use the appropriate hardware (in this case, wood screws) and mount the Flange fittings. Now, slide the pipe into each of the Flange fittings and tighten down the set screw (on each fitting) using an Allen wrench to secure it. Then, attach a Flange fitting to the top of each length of pipe. Follow the diagram in Step 3 for a closer look. Then, you will basically repeat this process until you have attached all of the shelves (illustrated in the Step 4 diagram). In this case, there are three shelves. That's it! You should now have a complete industrial bookcase as pictured in the Step 5 diagram. 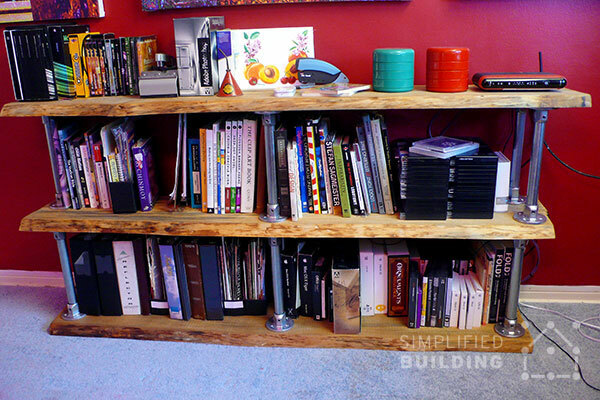 If you have any trouble assembling the bookcase, please don't hesitate to reach out to our projects team for help (projects@simplifiedbuilding.com). We will gladly assist you in your project, whether it's coming up with the design or even if you get stuck putting it all together. Finally, we do offer a few shelving kits for a simpler approach, try browsing our selection to see if there is a fit for you. Did you enjoy this article? Let us know in the comments below what you thought of Richard's bookcase and be sure to sign up to our email newsletter to receive updates on future projects like this one.